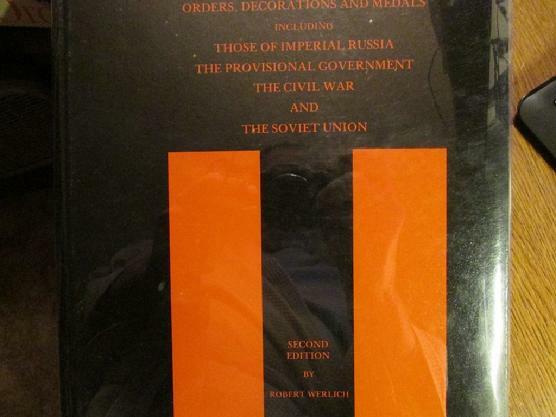 "Bible" of Russian Imperial Decoration & Collectables. Considered the most authoritative english publication. 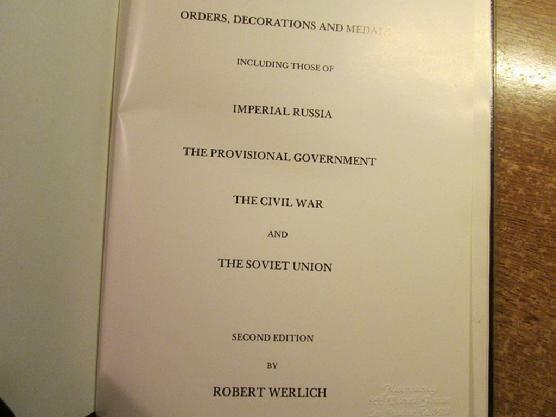 Russian Orders, Decorations and Medals including those of Imperial Russia the Provisional Government & the Soviet Union by Robert Werlich. 1981 Hardcover, 137 pages, illustrated with B-W and color photos. Used, very good condition with vinyl slipcover, out of print. The classic English language reference to Russian and Soviet orders, medals and jettons.